Well we don’t get rain very often at the Mesa AZ Temple. All morning I kept thinking that the rain would stop. 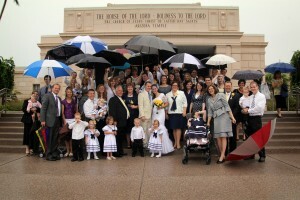 Brooke and Ryan were married at 11:15 am. Sure enough still raining when they came out about an hour later. Well they made the best of it and out came the umbrellas. 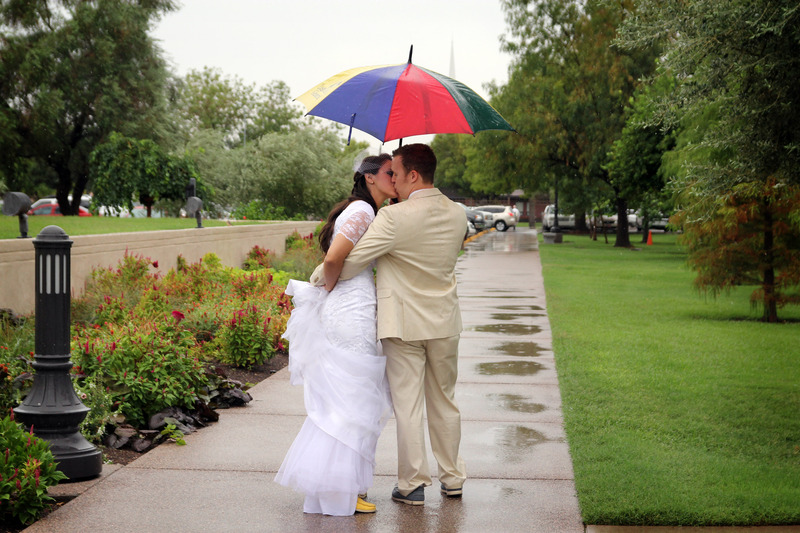 We got some great shots with them in the rain.